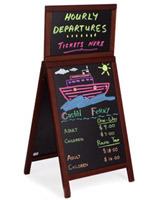 This chalkboard sidewalk sign is ready for use right out of the box! 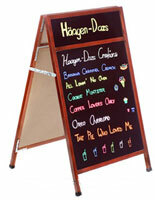 We include the a-frame sign with a box of traditional stick chalk & eraser. 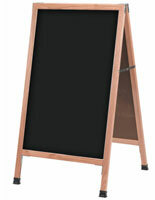 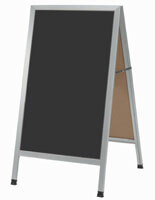 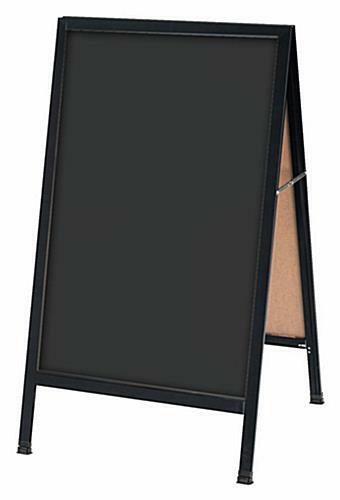 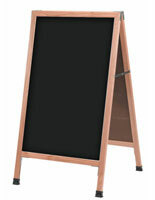 Use the chalkboard sidewalk sign to advertise outside your coffeehouse, cafe, or bookstore. 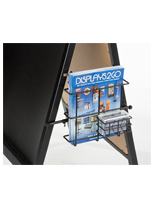 The folding design allows for flat storing and quick and easy setups. 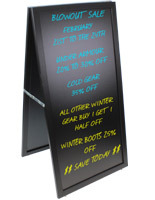 Our chalkboard sidewalk sign features an all black look for the sleekest of appearances!